UN Nepali Diplomat Kul Gautam accepts Harris Wofford Global Citizenship Award from National Peace Corps Association President Glenn Blumhorst. 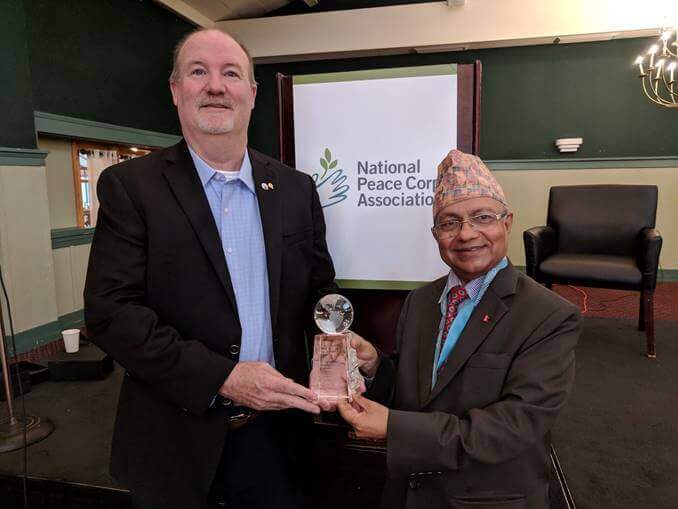 Retired Assistant Secretary-General of the United Nations and peace activist Kul Chandra Gautam received the highest honor bestowed to a global leader by National Peace Corps Association (NPCA) in Shawnee of Pennsylvania on Friday. The annual award is named for the former U.S. Senator who was instrumental in the formation of the Peace Corps in 1961 as a special assistant to President John F. Kennedy. NPCA is the largest non-profit organization representing Returned Peace Corps Volunteers. Born in a small village without running water or electricity, Gautam’s ties to the Peace Corps date back to 1962 when he attended a school in Tansen, about a three-day walk from his home. Recognizing Gautam’s talents, Peace Corps volunteers encouraged Gautam to seek a college scholarship in the United States. 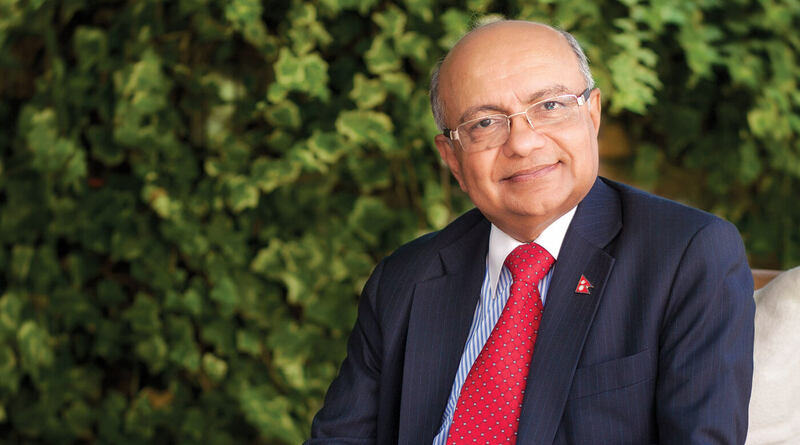 Gautam eventually graduated with degrees from Dartmouth College and Princeton University and then worked for UNICEF over three decades, rising to become Deputy Executive Director of UNICEF and Assistant Secretary-General of the United Nations in the early 2000s. 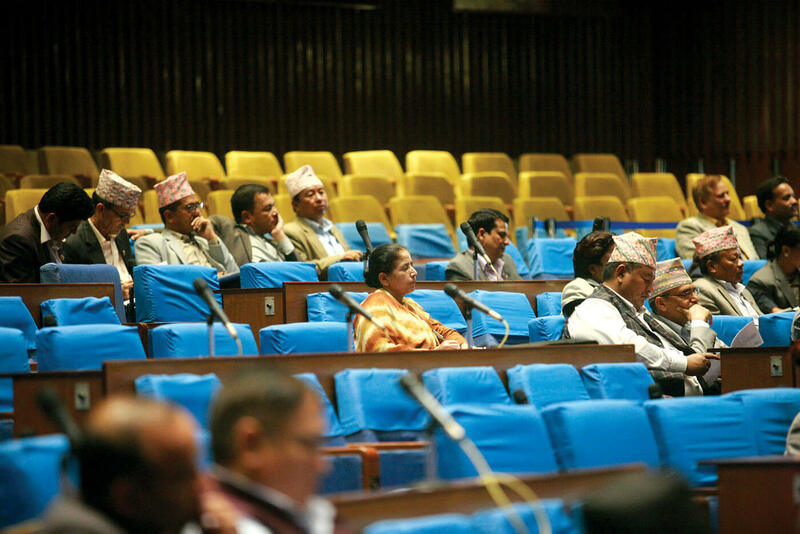 After retiring from the UN, Gautam was briefly Special Adviser to the Prime Minister of Nepal on International Affairs and the Peace Process. He continues informally to advise his country’s senior political and civil society leadership on the peace process, consolidation of democracy, human rights, and socio-economic development. Gautam was nominated by RPCV Doug Hall of New Hampshire. After serving in the Peace Corps in Nepal in the late 1960s, Hall first met Gautam as an undergraduate at Dartmouth College in 1971.